Friends Rehabilitation Program develops quality, energy-efficient, affordable housing for low and moderate income first-time buyers. Located just two blocks from Fairmount Park, Strawberry Mansion Townhomes are part of the continuing growth and revitalization of Philadelphia’s historic neighborhoods. One of Philadelphia’s newest real estate hot spots, Strawberry Mansion is located just north of Brewerytown and is home to three nearby housing developments. 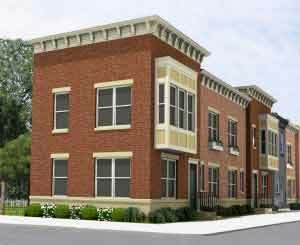 The Strawberry Mansion Townhomes are situated along 31st Street between Berks and Diamond Streets. Now is your chance to buy a well-built, affordable and energy efficient home full of amenities!